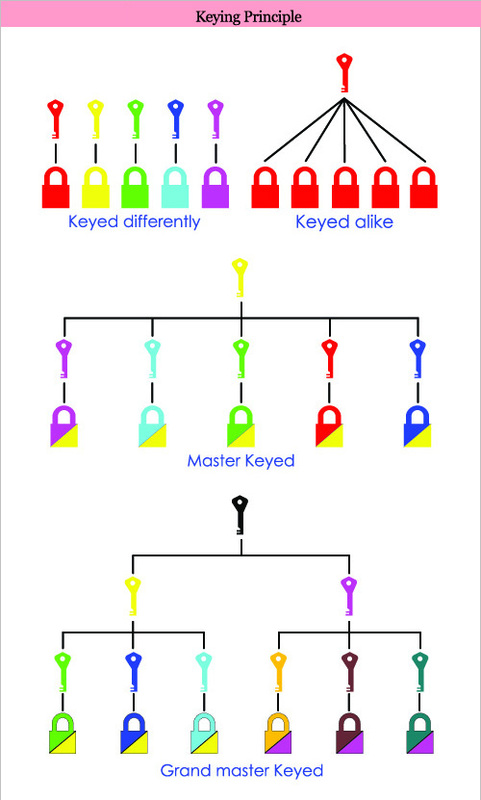 Key Differently System (KD) : Individual lock can be opened by its individual key. Keyed Alike System (KA) : All locks can be opened by the same key only. Master Key System (MK) : A master key system enables various persons with different access authorizations to open all relevant locks with only one key. Grand Master Key System (GMK) : A grand master key system enables one person with different access authorizations to open all relevant locks with only one key. Usually applied for an office building used by two companies, or hotels...etc.